With the holidays and travel season upon us, I thought I’d list some of my favorite travel essentials for a smoother and more comfortable trip. My babushka always taught me that “a lady must never leave the house without wearing lipstick.” This has always stuck with me. Though on a typical day I don’t wear lipstick, I do prefer an all in one gloss that also acts as a chapstick. I love vitamin E for all of it’s wonderful benefits for the skin, but also tend to be quite sensitive to it especially when it is on my lips. There are different grades of the vitamin, and many lip products that contain it tend to dry out my lips. I was elated when I finally found the Laura Mercier lip glace! It doesn’t dry my lips and actually adds moisture, allowing me to use it more like a chapstick. You can layer the glace for added color, or just keep it simple with a thin coat to act more as moisture for your lips. The red-pink Rose color is also quite flattering on most skin tones if you choose to layer the color more. Most readily available gum tends to use the artificial sweetener, aspartame, which causes a wide array of health issues including birth defects, brain cancer, diabetes, emotional disorders and epilepsy/seizures. Spry takes a more holistic approach without using any harsh chemicals to give your mouth that just brushed your teeth feel. Their gum is sweetened with 100% all natural Xylitol, which actually benefits the teeth by helping to prevent tooth decay and dry mouth. Comes in various flavors, my personal favorite is the peppermint. The air in an airplane is very drying. Avene thermal spring water is a quick way to refresh and hydrate your skin. It is also sans salt which can dry the skin. An added bonus: it helps set your makeup and is ideal for sensitive skin. This easy to throw in your bag scarf is perfect to keep warm. Use it as a scarf, shawl, or even as a blanket. Measures 75″ x 35″, 100% viscose. Many eye drops we’ve tried work for an hour or two then we end up needing to use them again. We’ve found the Thera Tears drops to work for most of the day. Safe for contact lense wearers as well. This is our go to for almost everything. 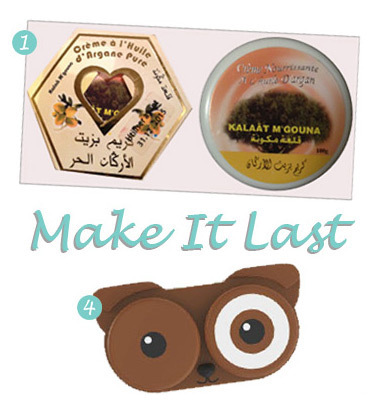 100% pure argan oil seeps quickly into the skin but is lightweight and non-greasy. Use it under the eyes or all over the face, as a hand or all over body moisturizer, or as a spot treatment for patches of dry skin. We also love it for our hair to keep away frizz and flyaways while adding shine. The air on a plane is so drying, this keeps us glowing the whole way through. 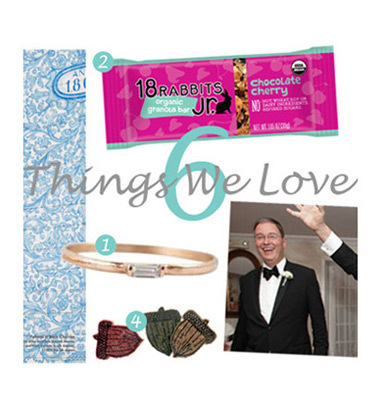 We featured these bars in our 6 Things We Love post and received such wonderful feedback! I mentioned that my favorite is the Chocolate Cherry bar and received some emails asking what other flavors I would recommend. My next favorite is the Apricot, Walnut, & Coconut bar. Yum! This is a great quick read while you’re waiting for take-off or for your ride. Li Ching-Yuen was a Chinese herbalist that lived to be 256 years old, had 23 wives, and raised over 200 children. This article talks about his longevity formula. Very interesting, indeed! There you have it! 9 travel essentials to make your trip more comfortable. Happy holidays and safe travels to all! 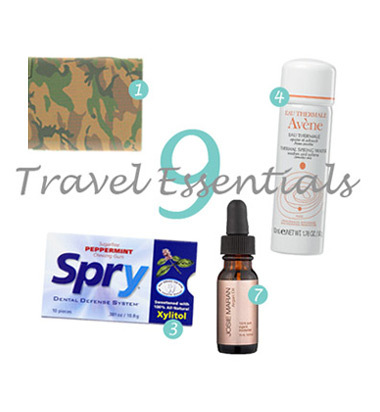 What are some of your travel essentials?